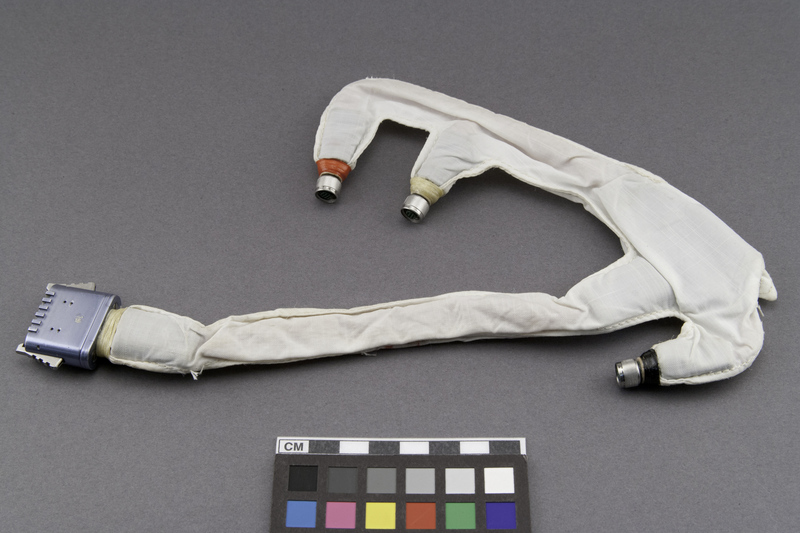 This Apollo bio-harness was worn by astronaut Dave Scott during his Apollo 15 mission in July - August 1971. 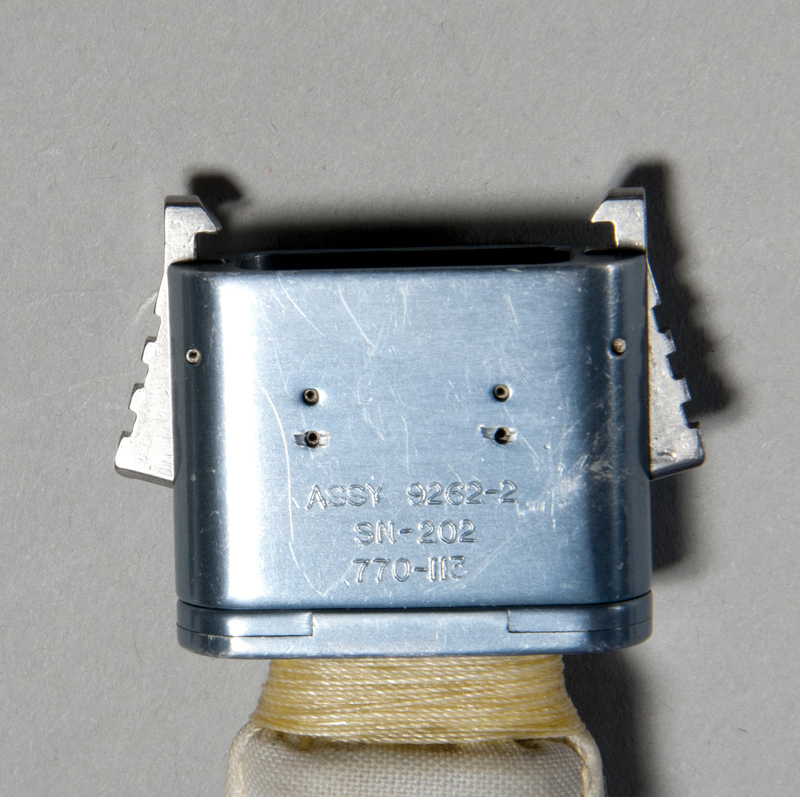 This portion of the bio-harness served to connect each of the data collection devices to the spacecraft in order to transmit the health information of the astronaut back to Earth through the spacecraft communications system. The complete bio-harness assembly was worn under either the intra-vehicular (IV) coverall garment or extra-vehicular (EV) pressure suit. It consisted of a cotton belt with teflon-coated beta cloth pockets into which an electrocardiograph signal conditioner, an impedance pneumograph signal conditioner, and a DC-DC converter were inserted. The belt was fitted with snap fasteners which attached the assembly to either the constant wear garment or the liquid cooling garment. Transferred to the National Air and Space Museum from NASA in 1972.